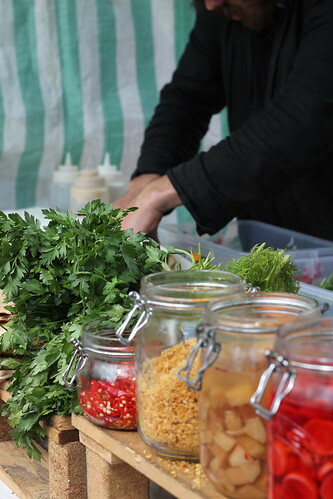 I recently took a trip down to the much talked about Brockley Market and was really impressed! Created by a local photographer (Toby Allen) with a passion for food, dedication to succeed and the ability to spot an opportunity to create a new market to benefit his local community. I had a lovely time there, great producers, great street food and space to either sit or stand around and eat. Here is a quick run down of my highlights. Amazing looking stand and food from Mike and Ollie, must try on my next visit.